Unusual white metal medallion, approximately 26 x 30mm, engraved with the RAF eagle and 'R.A.F. MT HAMPDEN' on one side and 'BEST CADET - 29C 1673675 AC2 CANNELL J E' on the obverse. Hanging loop at the top with suspension ribbon manufactured using rank braid. RAF Mt. 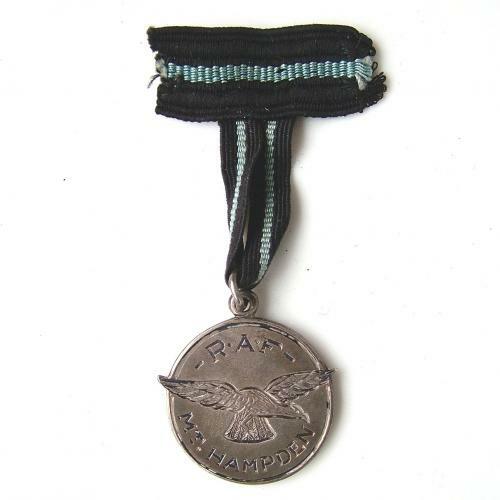 Hampden was an Elementary Flying Training School in Rhodesia during WW2. Good condition. Stock code U21564.